Commercial buildings often have frequent foot traffic, large inventories entering and exiting, doors opening regularly, extensive heating sources and many surrounding water sources. Because of these things, commercial properties require regular pest control maintenance. Foot traffic brings in flies, rodents and general pests running through that need to be controlled. Large inventories, such as food and other products, generally cause issues from either the products themselves, or from when the products are brought into structure. Commercial properties also tend to have higher heating and cooling usage and often have units operating at more frequent times. Increased heating and cooling usages cause more nesting sources for rodents, roaches and insects. Additionally, most commercial properties have larger water sources than residential properties. These sources are caused by flat roofs, multiple downspouts and little soil absorption. These standing water sources cause increased populations of insects due to the fact that water leaving the structure has limited areas to be absorbed. It is imperative to have a professional pest control company licensed in IPM that will recognize all of these issues in your structure(s) and will implement a plan to not only take care of any existing issues but also implement a program to prevent any issues from occurring in the future. Although reoccurrence frequencies tend to depend on the usage of the structure, a proper IPM professional will implement a maintenance plan to occur on a on a fixed recurring schedule. It is always best to have an IPM professional evaluate the structure prior to determine at what frequency the structure requires service to best control any current issues and to prevent any future issues from occurring. Communication between owners/managers and the IPM professional is key. Every visit should have contact between IPM professional and manager. 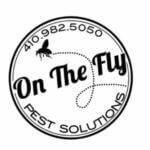 Treatments vary depending on season, due to the four drastically different seasons here in Baltimore County, MD, creating four drastically different seasonal pests. However, general pest issues can occur at any time. It is key to have a clear line of communication between the owner/manager and the IPM professional in order to ensure that, should any weather-related pest issues arise, the owner/manager can be in contact with the IPM professional without delay.